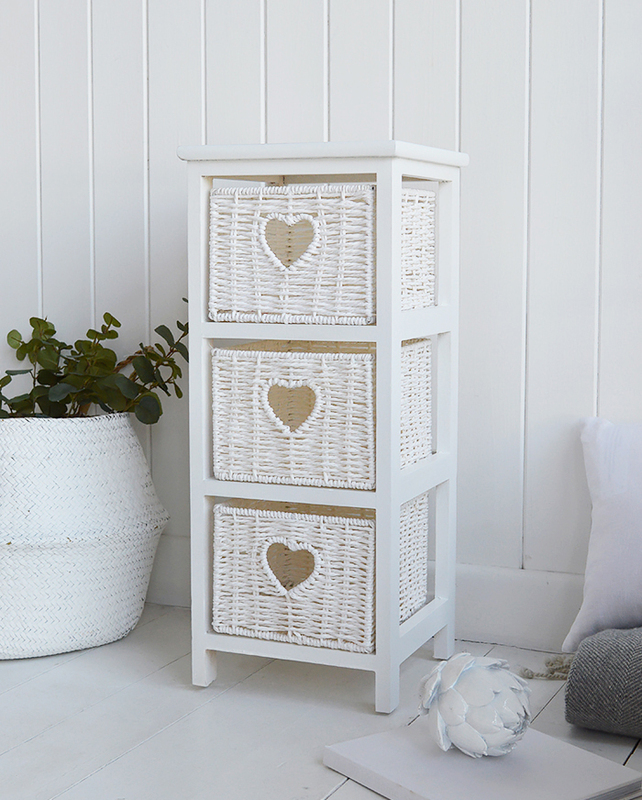 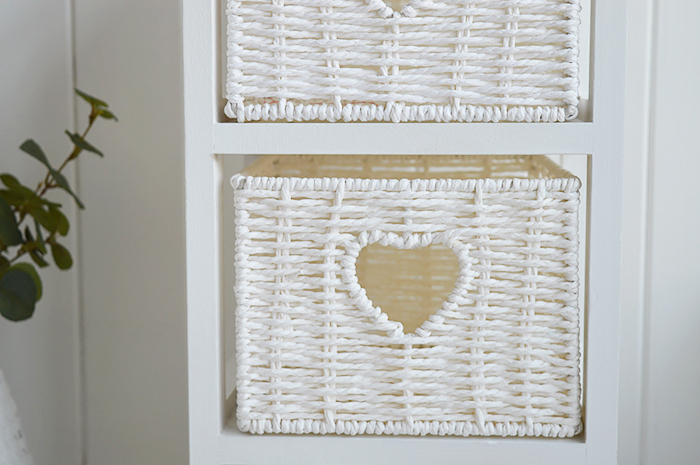 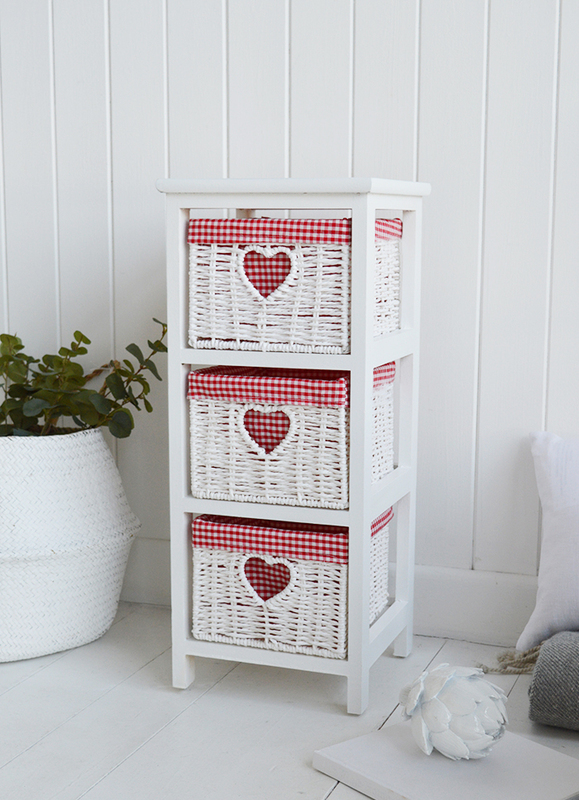 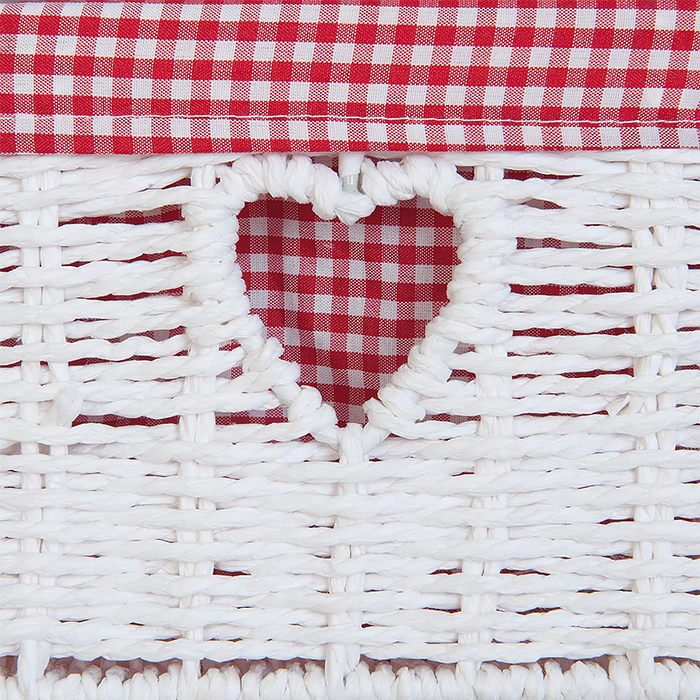 The White Cottage narrow bedside table with 3 drawers, each hand made white basket drawer is lined in pretty red gingham with a heart cut out handle. 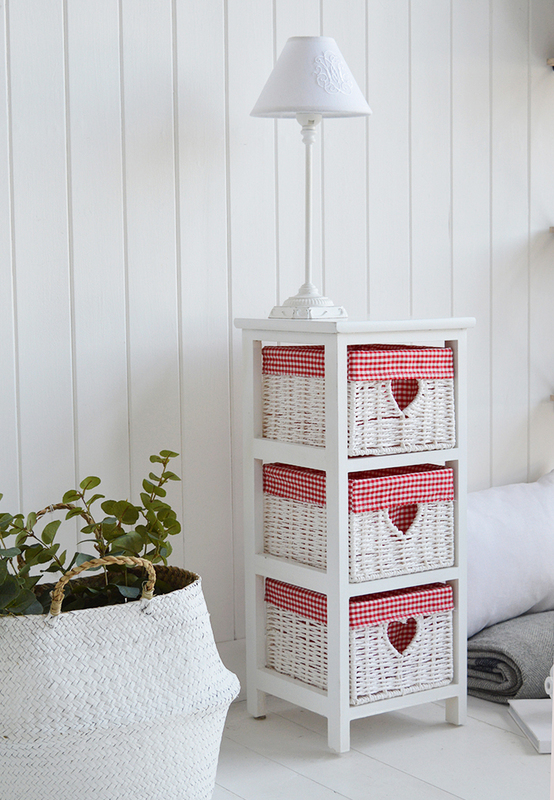 Perfect when space is at a premium, but you still want a table top for a lamp along with a lttle extra storage. 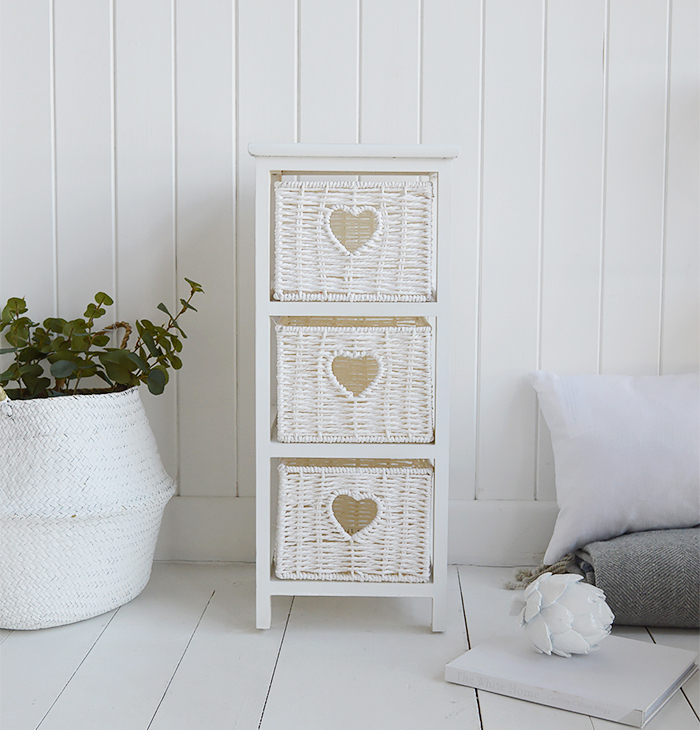 Finished in a white painted wood. 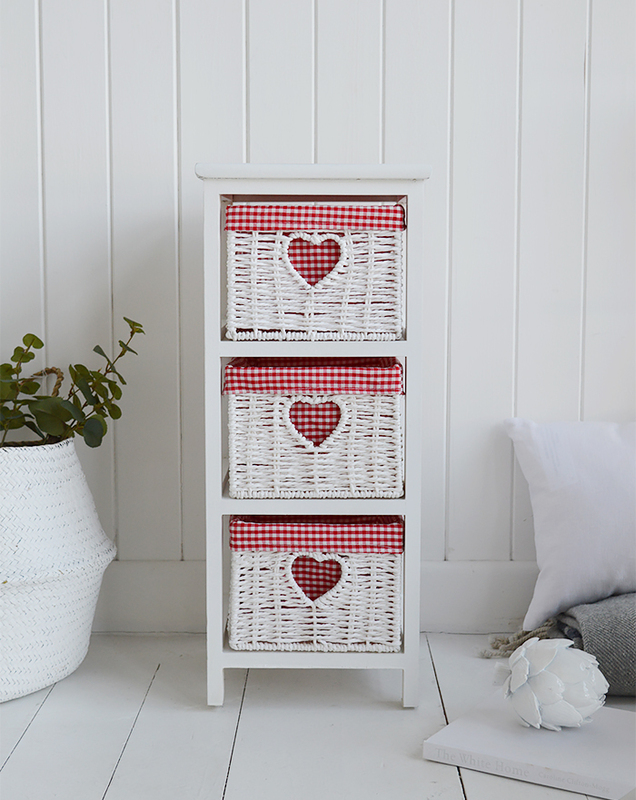 We have shown the cabinet with and without the gingham linings, but the choice is yours!